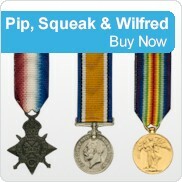 At Dorchesters.com we are constantly adding to the range of reproduction and replica coins and medals that we offer. On this page you will find the latest coins and medals that we have added to our web site. These items can also be found in their respective locations on our web site. Obverse: Greek letters IOYL[IA KAICAP]OC (Julia, the Emperor's mother), three bound heads of barl..
Obverse: Laureate head of Nero right. Text around NERO CAESAR AVGVSTVS. Reverse: Jupiter sea..
Obverse: Laureate bust of Galba, facing right. Text around IMP SER GALBA AVG. Reverse: Winge..
Obverse: Head of Titus, leaded, laureate facing right. Text around IMP TITVS CAES VESPASIAN AVG P..
Obverse: Laureate head of Domition right. Text around IMP CAES DOMIT AVG GERM P M TR P XI (Impera..
Obverse: Laureate bust of Hadrian, facing right. Text around HADRAINVS AVG COS III PP. Rever..